Great place to be in Khan Market if you like to have great drinks and great food in a mature yet lively ambiance. 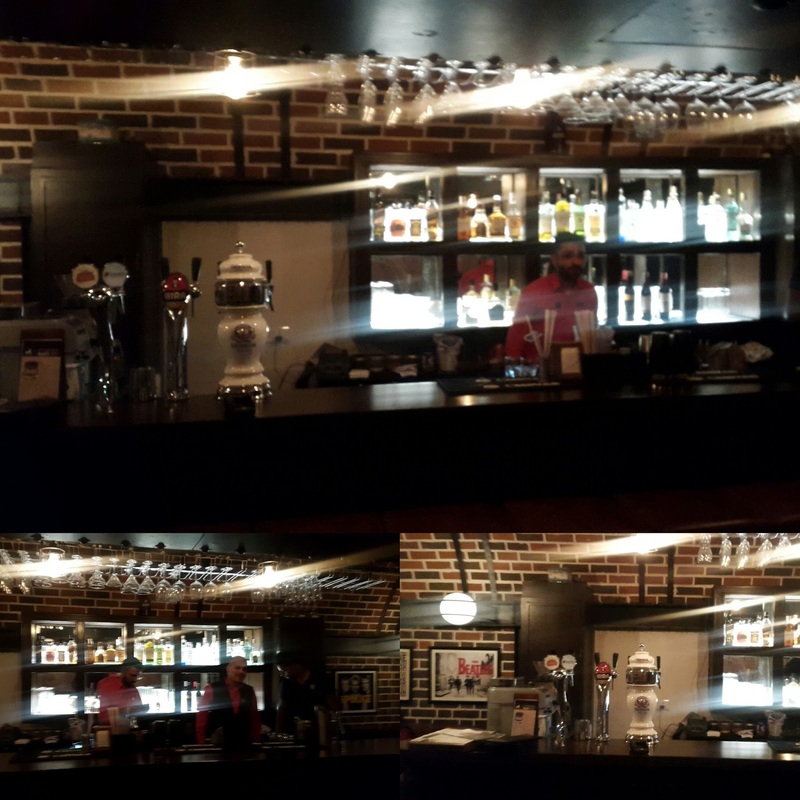 TCB is an Irish Gastropub which transforms the whole experience dramatically and makes it interesting. The raw textured walls with exposed and highlighted bricks and the iron and steel frames all over the pillars and roof make the whole experience rustic and homely. When we reached around 9 pm it was already bustling with people enjoying their drinks and food at the same time chit chatting too. The music played is from 80’s and 90’s more of Abba, Bee Gees, and Springsteen’s of the world. I just loved it. The music perfectly matches the theme of an Irish pub. And of course food is one of those factors which is the ultimate driving factor other than drinks. We ordered few cocktails like the Aam panna vodka, a watermelon mix and an Apple based drink. All of them were amazing and if you like your poison to be a little less sweet you should surely try the Orange based cocktail. Food, overall is a highlight here, believe me. Menu is not too big but boasts of quality and finesse. Orange and almonds based salad as well as the Caesar salads were amazing with full freshness and crunch. For trying purpose we ordered a small platter of Indian starters which had Dahi kebab, Galauti kebab etc. I can just avoid them and move on to something like Chicken wings in BBQ sauce. Also the Blue Cheese Nan served with Makhni Dal in a shot glass was fabulous. The pizza station in a corner can’t be missed at all as the lovely chefs are always busy rolling, flipping and topping up the best pizzas. We had a very nice and different Egg and Spinach pizza which was yummy. For the mains, though we were quite full but still we tried the Creamy polenta and Mushroom ragout and the Spinach and Ricotta Canneloni on a bed of tomato sauce, truly Italian. The polenta was light and creamy with the most wonderful flavor of juiciest mushrooms and arugula. I could just die eating that dish; it was so comforting and hearty. Next time for sure, I am trying their signature Burgers and steak. For the desserts we ordered the Banana 3 ways (banana cake, banana coconut mousse and caramelized bananas) which was delicious and the Baked yoghurt vanilla cake with fruits again a very innovative thing; Made as a cheese cake but with yoghurt very healthy and yummy.